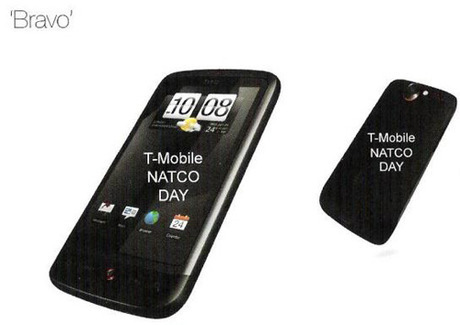 HTC’s plans for 2010 have been splashed across Engadget, and there are some gems in next year’s line-up. The creators of the Hero have a new generation of Android handsets on the way and are also running a line in productivity-focussed Windows phones. HTC’s offerings are split up into four areas – design; social/lifestyle; performance; and productivity. What ? This smooth Android handset looks to be the successor to the Magic (and possibly the Hero, too), featuring an 11.4mm metallic frame with a clickable optical pad, 5 megapixel AF cam, and 3.2-inch AMOLED display. Why? 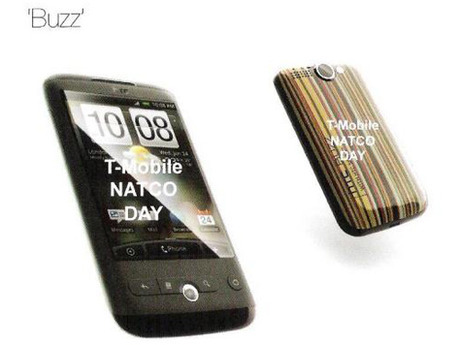 First entry in HTC’s design category, looks like a iPhone welded into a soft bed of stripey icecream. Is that a slight come-hither up-bend at the end of the handset, like the Hero has? I hope so. This is the sort of phone that is just asking you to cradle it in your palm. What? A next generation Tattoo with changeable backplates in different designs and optimised for social-networking and applications. Has a 5 megapixel AF cam with flash to boot and high speed internet. Why? I’m a sucker for customisation. And touchscreens. Those changeable backplates get me every time. Part of the roster of Social phones – these promise to be good for social networking and should make full use of the Android app store. What? Key entry in HTC’s performance category, a sleek black touchscreen device that is probably the true successor to the Hero. It is the first time Android has combined the Android operating system with a SnapDragon processor chip – making we hope for speedy powerful processing. It also has 720p video capture through a 5 megapixel AF cam with flash, a 3.7-inch AMOLED display. Why? Well hello, this is dark, powerful and slim and pretty attractive all-round. 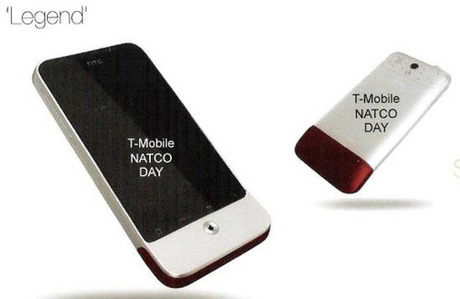 The It gadget of 2010?